I am refusing to let go of summer. Living in Minnesota is tough when warm weather lasts for such a short period of time. The summer may feel as though it is almost over, but we still have time to enjoy some of the simple pleasures like eating ice cream. And while I love a good soft serve from my favorite ice cream shops, nothing can really beat a homemade ice cream. Here are 12 fabulous recipes from around the web that are sure to cool you off on a hot summer day. 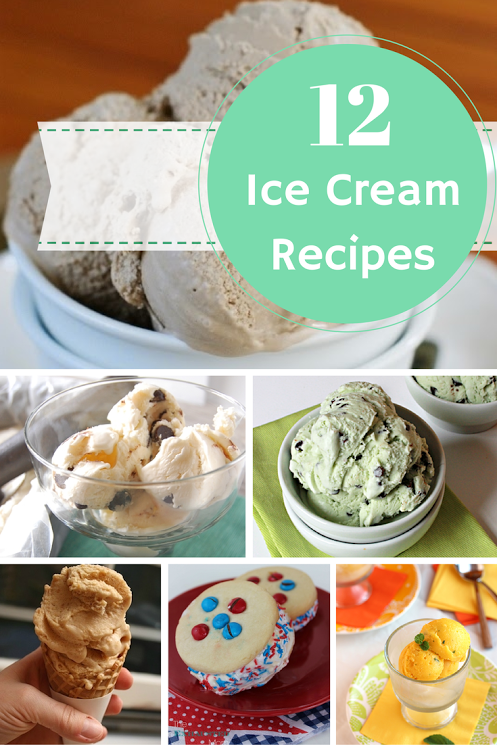 Whether you are looking for something classic such as vanilla bean or peppermint chip, or something more exotic like lime zest or mango sorbet with mint, you are sure to find that perfect drool worthy recipe! Now the hard part is deciding which one to make first!